Use the 80% off voucher to make it £2. 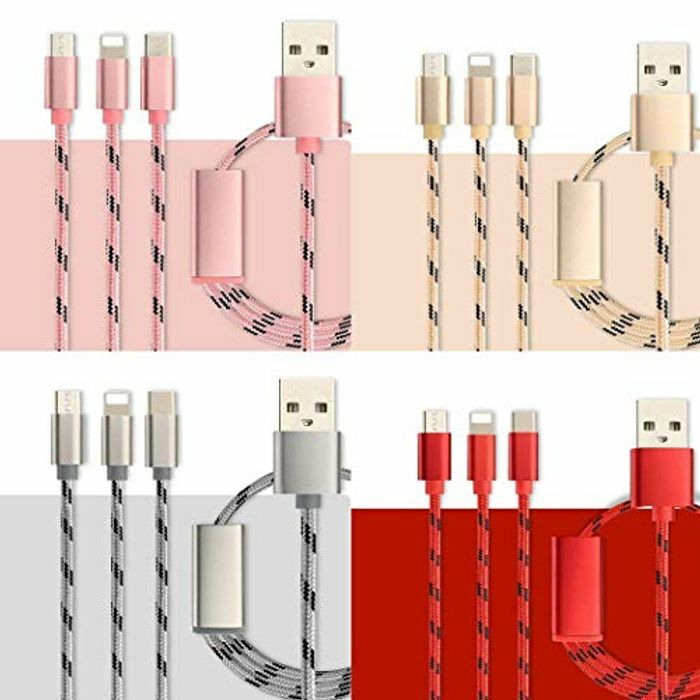 One USB charging cable,3 connectors,solve three different charging needs. Fast Charge & Sync : High-quality Copper Wire and Nylon Braided reduced charging cable resistance enable Power Line to provide the fastest possible charge via any USB charger. That's a briliant price! Definitely useful as I'm always breaking my USB's and chargers lol. Thank you for sharing. Great price, and who wouldn't want a lovely pink one! Great price but very short wire! Wow this looks like a fantastic deal, thanks so much for sharing. This would be so useful on holidays etc. where no one seems to have enough chargers as home! Great as a back up my neice and nephew are always breaking thiers. Great price too.